BERLIN — Volkswagen said irregularities on diesel-emission readings extend to 11 million vehicles around the world, forcing the German carmaker to set aside 6.5 billion euros ($7.3 billion) in an initial tally of the potential costs. Volkswagen extended its slide after the announcement, falling as much as 30.85 euros and bringing the drop in two days to 37 percent. That has wiped out 24 billion euros in market value, as the probe into rigged air-pollution widens. Regulators from Germany, France, South Korea and Italy have vowed to scrutinize the German automaker’s vehicles. To address the growing crisis, the executive committee of the carmaker’s supervisory board will meet Wednesday, said people familiar with the matter. Chief Executive Officer Martin Winterkorn has been at the center of the scrutiny since the U.S. Environmental Protection Agency revealed on Friday that VW cheated on air-pollution tests. While the 68-year-old CEO said on Sunday that he was “deeply sorry” and promised a thorough investigation, he didn’t specifically comment on his role. He’ll need to explain to the supervisory board, which was set to vote this week on his contract extension, how deep the malfeasance is spread throughout the carmaker. Volkswagen shares tumbled as much as 23 percent to 101.35 euros on Tuesday and were down 20 percent as of 1:18 p.m. in Frankfurt. That followed a 19 percent dive on Monday. 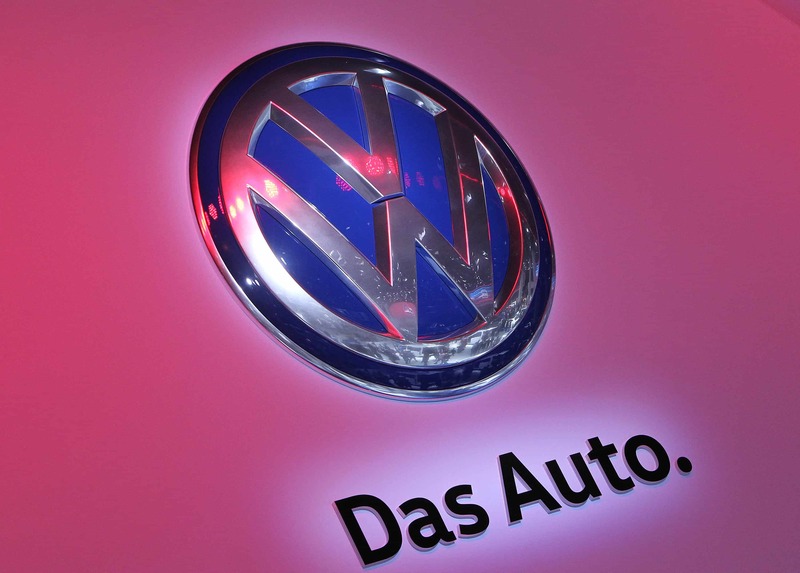 “Volkswagen is working at full speed to clarify irregularities concerning a particular software used in diesel engines,” the Wolfsburg-based company said in a statement. The manufacturer said the money that’s being set aside could increase as investigations continue, adding that earnings forecasts for 2015 will be adjusted to take into account the costs of the scandal. The so-called defeat device was installed in a certain type of diesel engine, which powers models including the VW Passat sedan and the Audi A3 compact. For the majority of the 11 million vehicles involved, the software has no effect, VW said. Regulators will be looking to verify that after VW dragged its feet on the U.S. investigation for nearly a year. The EPA probe alone exposes the company to fines of as much as $18 billion. The U.S. Justice Department has begun its own probe into the matter, according to two U.S. officials familiar with the inquiry.